Just like driving under the influence of alcohol makes operating a motor vehicle more dangerous, drugged driving jeopardizes everybody on or near the road. The only variable that might come to issue is the type of drug that somebody used before he or she got behind the wheel. Even something as pervasive as marijuana slows reaction time and impairs judgment. Drivers who are impaired by stimulants like cocaine or methamphetamine become more aggressive, and those who are impaired by prescription opioids are known to become drowsy. Even small amounts of drugs can have clinically significant effects on a person’s ability to operate a motor vehicle. Arizona is what is known as a zero tolerance state. Section 28-1381 of the Arizona Code states that it is against the law for anybody to drive or be in actual physical control of a motor vehicle in the state while there is any amount of a highly detailed list of drugs or their metabolites in the person’s body. Simply put, there are no established and generally accepted roadside tests for drugged driving. Suspicion of drugged driving is generally ignored by police officers investigating an accident because there is usually sufficient evidence to convict a driver of drunk driving. That fact tends sweep the number of drugged drivers and the car accidents attributable to them in Arizona under the rug. How frequently is drugged driving tied into accidents? A 2010 study revealed that over 46 percent of all drivers in accidents who had been tested for drugs had used at least one prescription drug. Almost 40 percent had used marijuana, and nearly 10 percent had used cocaine. 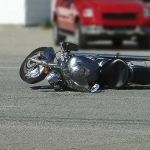 Attorney Aaron Crane relates that regardless of the fact that most medications warn against taking them and driving, people who have taken the medications continue to operate motor vehicles. He cautions that the effects of some prescription drugs can be as serious as those from alcohol. Our position is that just about any drug, legal or illegal that is purchased on the street or in a pharmacy can impair the driver of a motor vehicle and be a contributing cause to an accident anywhere in Phoenix. If you or somebody close to you has been injured or killed as a result of the carelessness of a drunk or drugged driver, contact the personal injury attorneys at Cantor Crane as soon as possible, and ask to speak with a car accident lawyer from our firm. 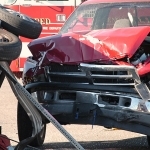 We are highly experienced, aggressive and successful personal injury lawyers in Phoenix, and we represent the victims of accidents across Arizona. 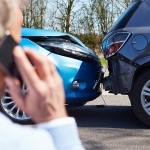 Never give a statement to the insurer or investigator of the person who caused the accident. No law requires you to do so. The questions that they ask you will be leading, loaded and not permitted in any courtroom unless you give up certain rights. Once you give up those rights, you might not get them back, so it is likely that your statement will be used against you in the future. Victims of drunk and drugged drivers deserve the fullest compensation available.